We're always happy to be featured in such a prestigious periodical, however this little image in House and Garden took us completely by surprise! 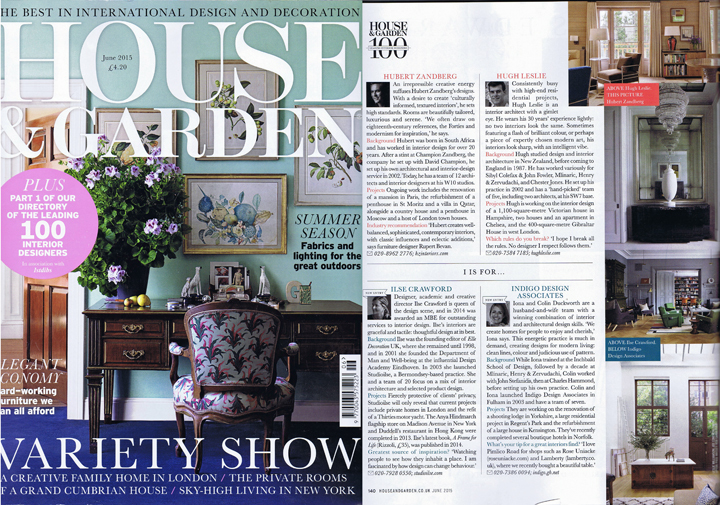 Having procured H & G June, to peruse this year's directory of the top interior designers. Needless to say we've worked on projects for many of these outstanding professionals listed. However we were hugely excited when we can across this little image of a feature mirror we made for Hubert Zandburg Interiors a few years ago. Unfortunately we didn’t get a credit but ho-hum you can't have everything!